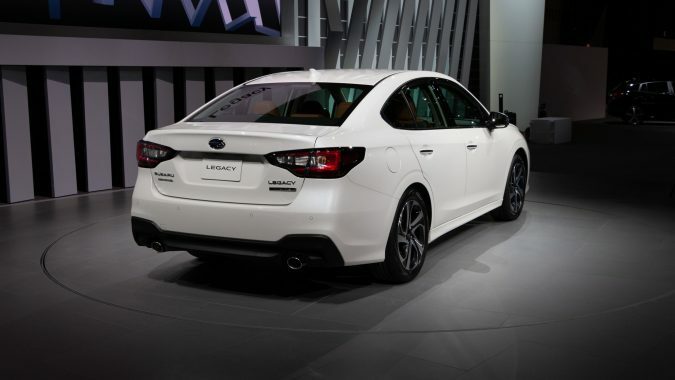 This is the seventh-generation of the Legacy, Subaru's big sedan. 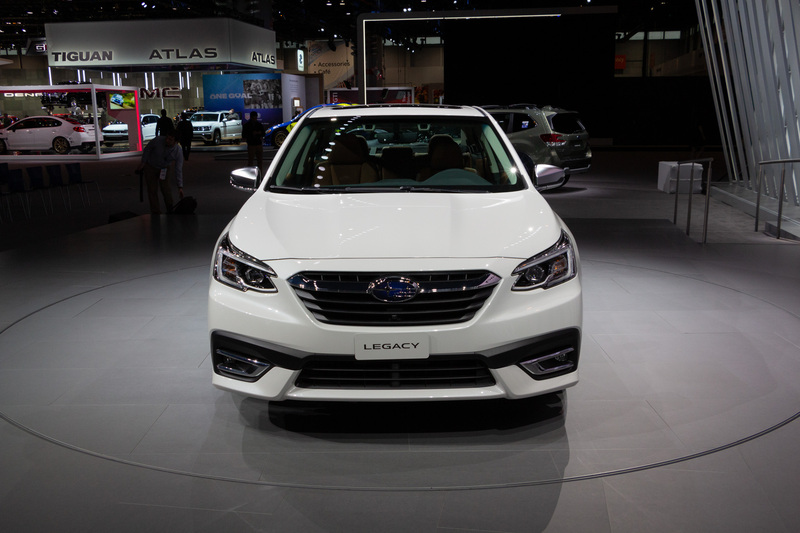 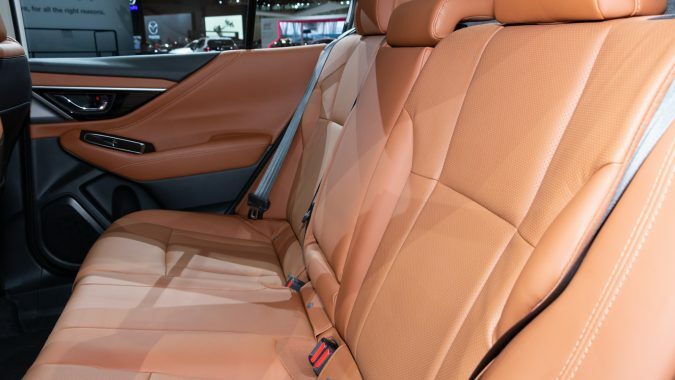 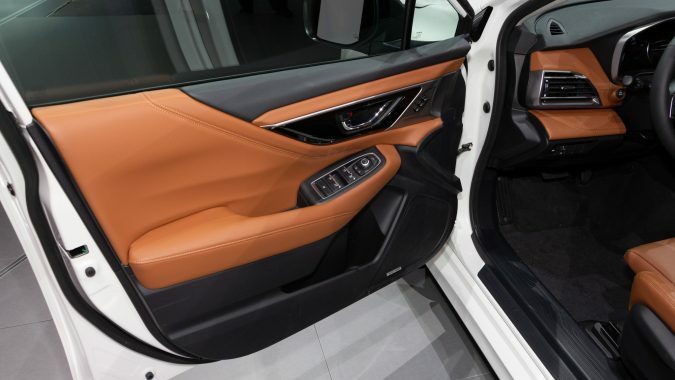 CHICAGO, IL – In the middle of a flurry of new and updated vehicles, Subaru unveiled an all-new Legacy at the Chicago Auto Show. 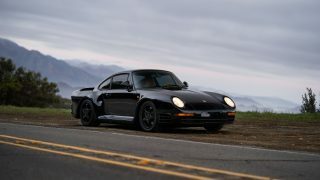 It brings back the turbo, adds a massive infotainment screen, and an even more luxurious top trim. 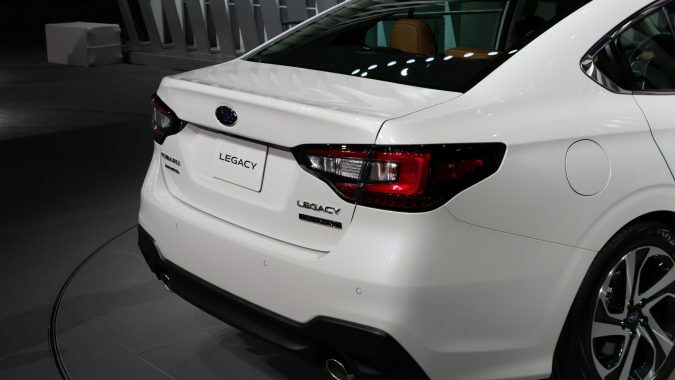 This is the seventh-generation of the Legacy, Subaru’s big sedan. 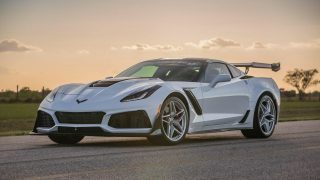 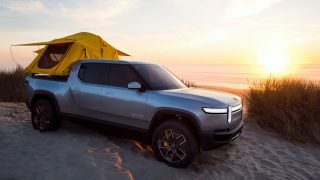 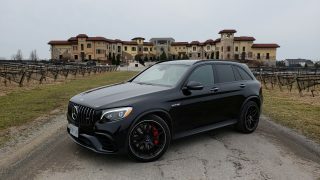 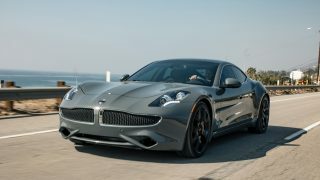 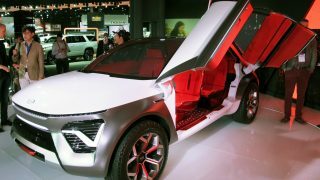 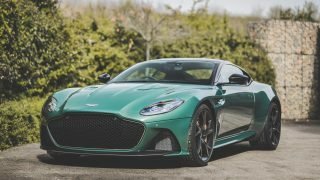 And while the last generation one was the best selling one yet, the automaker expects this one to surpass it in a world where other carmakers are dropping cars altogether. 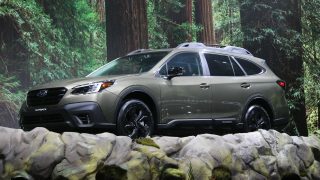 It sits on Subaru’s Global Platform, the same bones that are under the new Impreza and Forester. 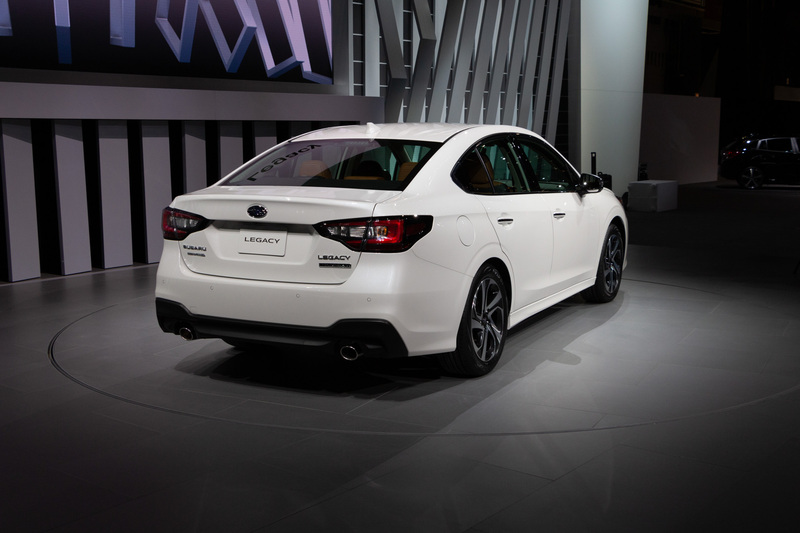 Subaru says that it offers better dynamics, improved safety, and more quiet. 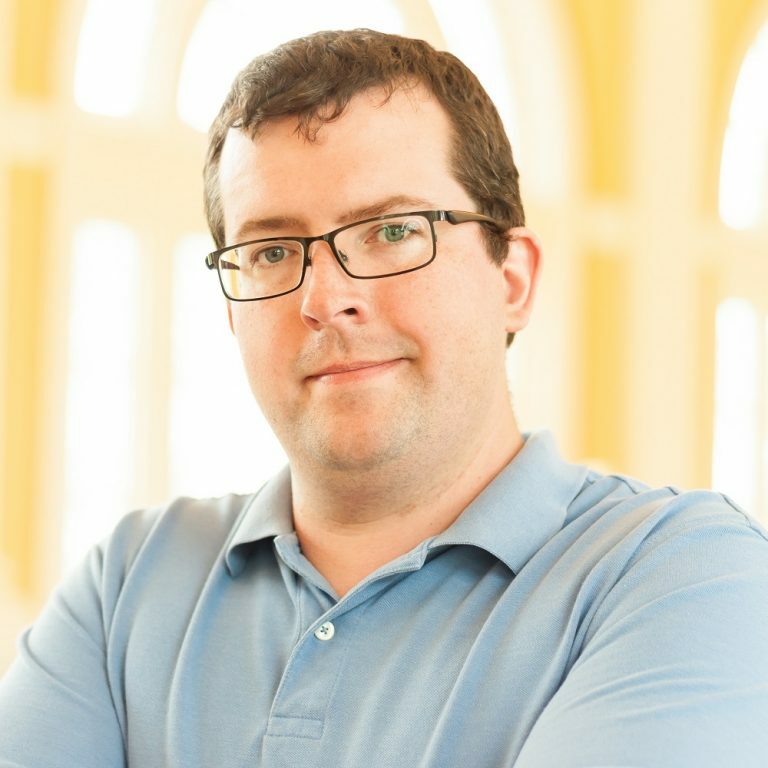 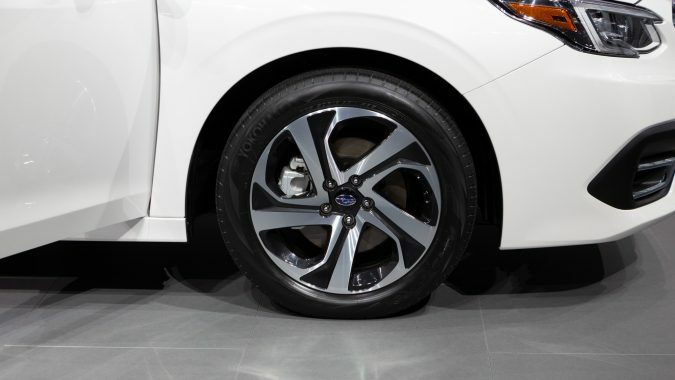 That’s attributed to revisions to the platform like 371 percent more structural adhesive than the first Global Platform cars. 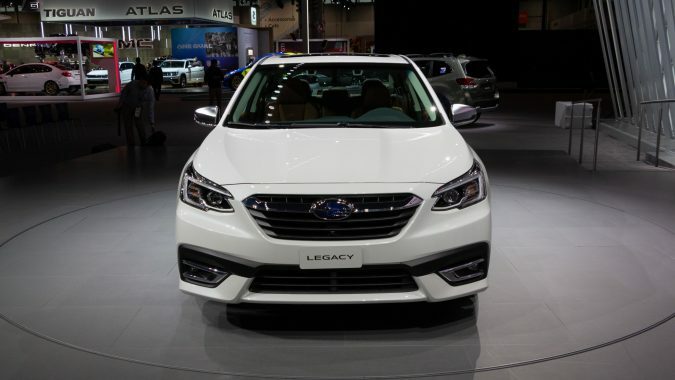 Powering the Legacy is a 2.5L boxer four, the same one that debuted in the new Forester last year. 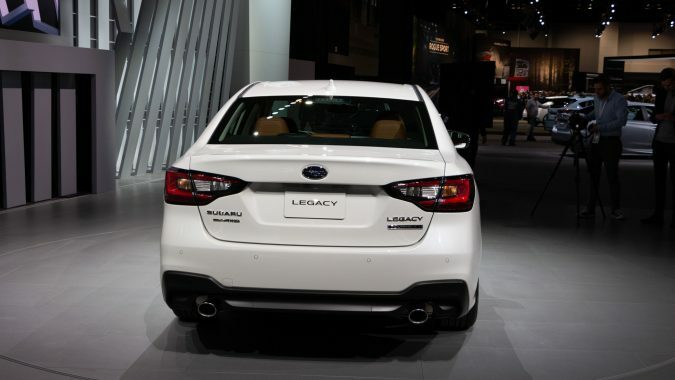 It puts out 182 hp and 176 lb-ft of torque. 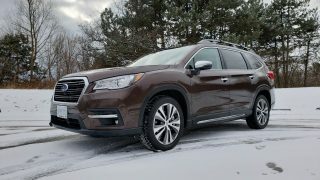 Using a CVT and, of course, all-wheel drive. 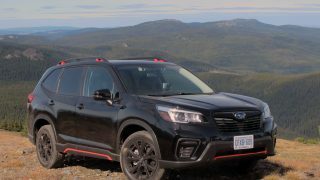 Buyers wanting more of a shove can pick the XT trim and the 2.4L turbo flat-four with 260 hp and 277 lb-ft that comes with it. 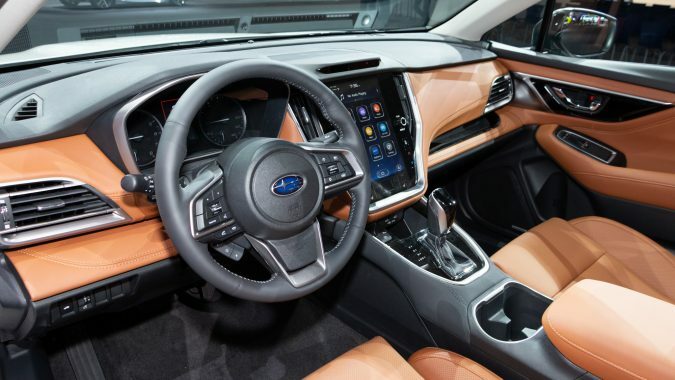 Subaru says that the latest version of its Lineartronic CVT uses a new fluid that reduces power loss by 32 percent. 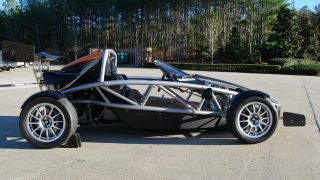 Which should improve performance and fuel economy. 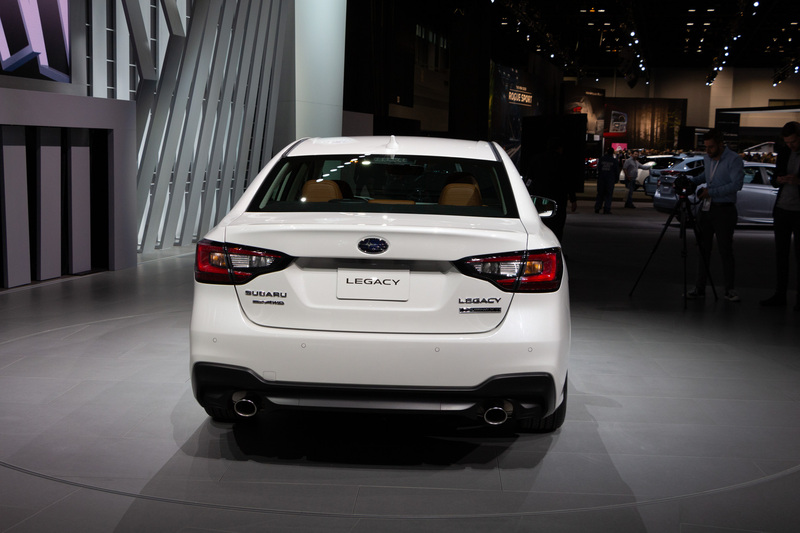 Inside, the Legacy has an 11.6-inch portrait-oriented infotainment screen on most trims. 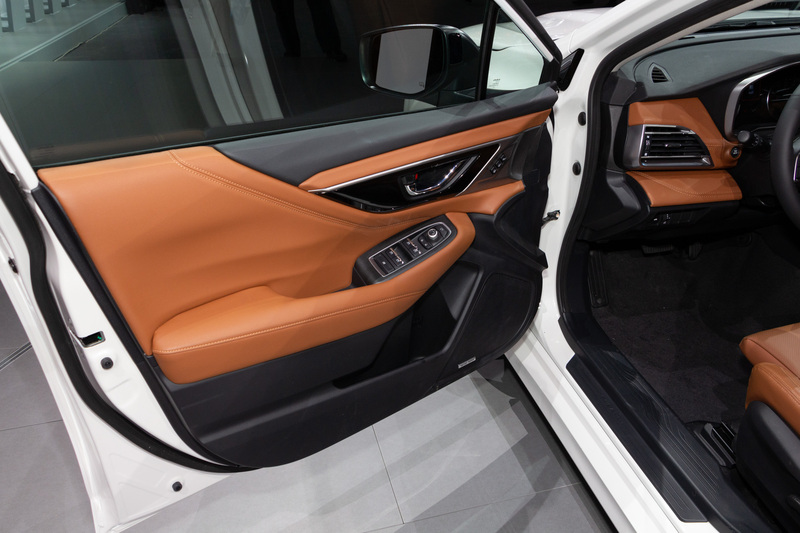 Open the door and the huge panel is hard to miss. 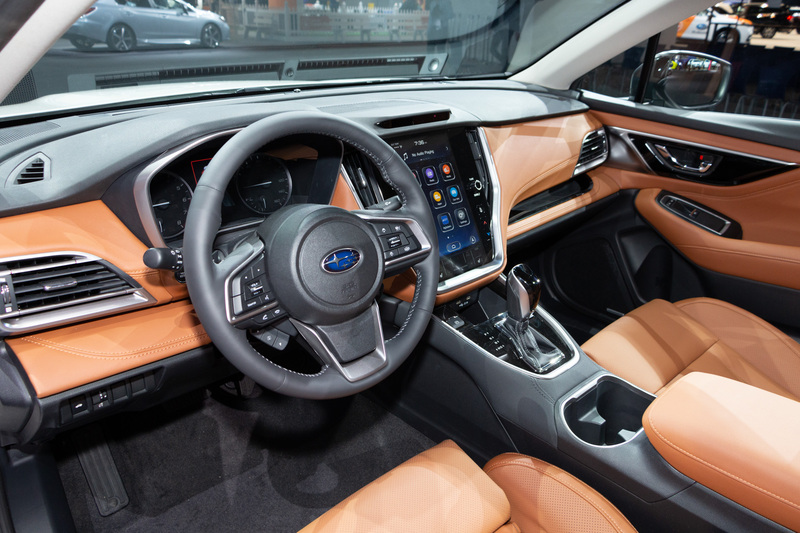 It controls the multimedia system and climate control, but despite the big screen, the Legacy does still get a volume knob. 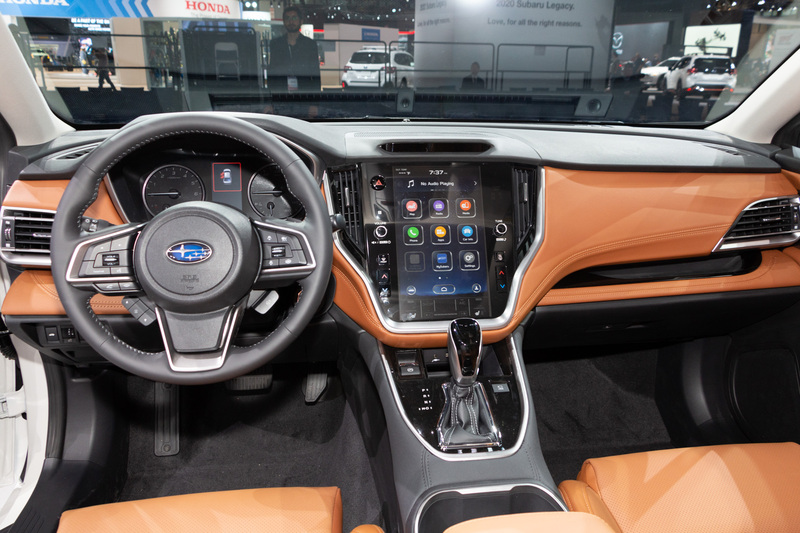 Base cars get a pair of smaller 7.0-inch screens instead of the great big one. 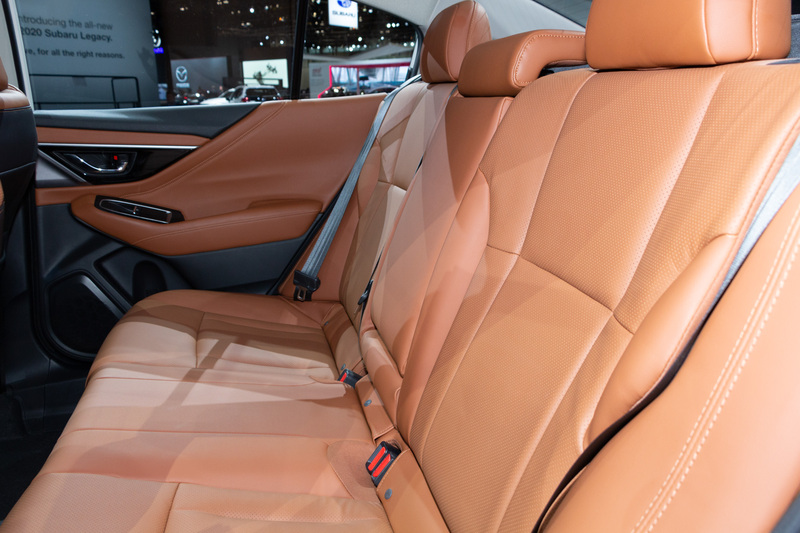 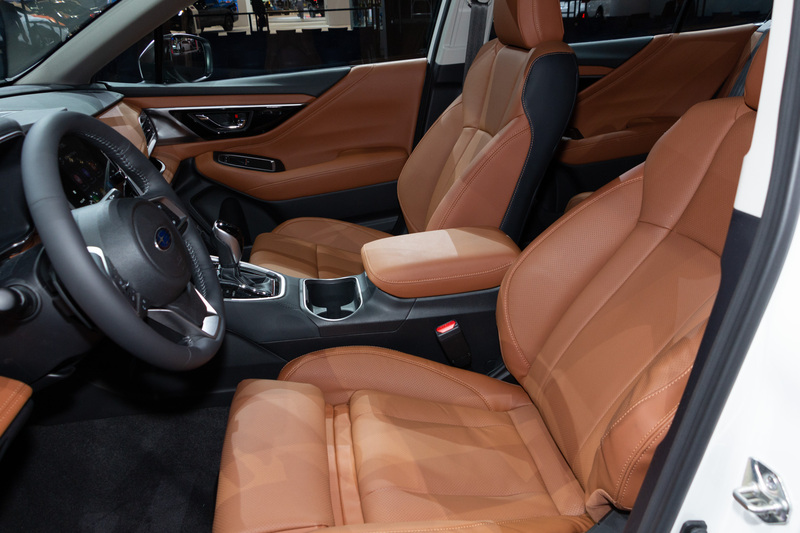 That Nappa leather interior in the reveal car is a first for Subaru, adding the soft material to much of the cabin, not just the seats. 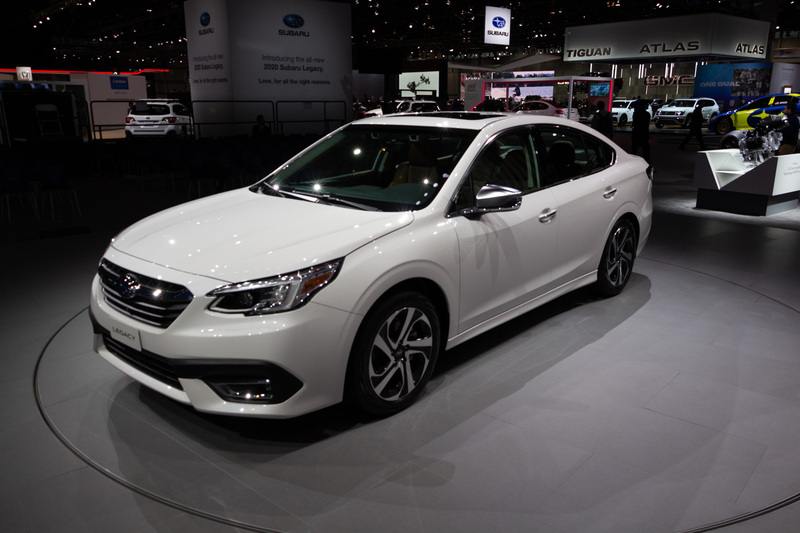 Subaru’s EyeSight active safety suite gains lane centering, plus offers adaptive cruise. 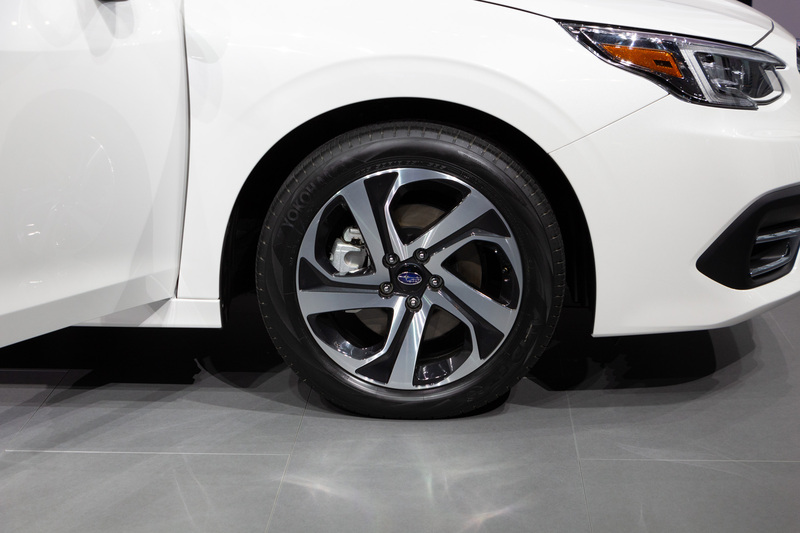 DriverFocus Distraction Mitigation is available: it monitors the driver with a camera to detect fatigue or distraction. 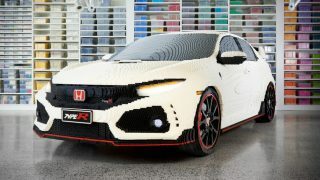 Styling-wise, though, you might miss that this is an all-new car at first glance. 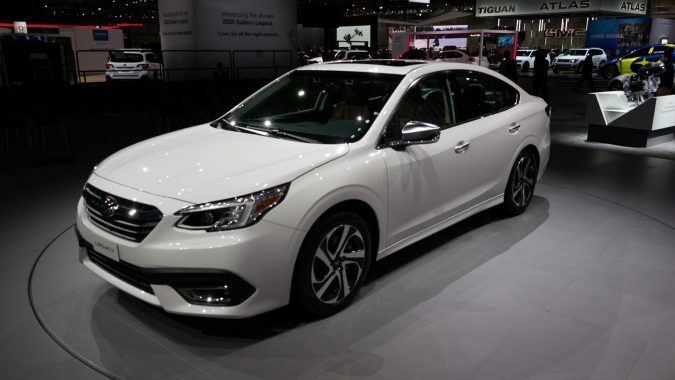 Subaru’s styling lately has seen models that don’t exactly rock the boat when compared with their predecessors. 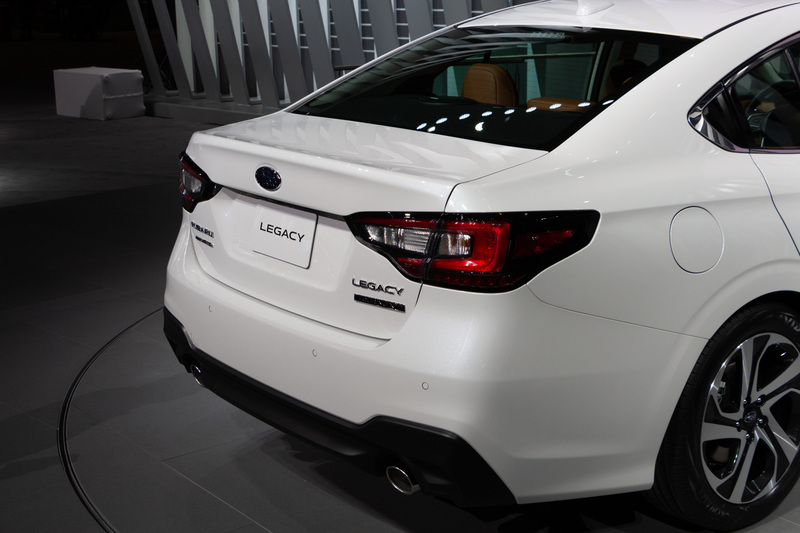 That said, it’s still a handsome shape that should continue to look good for the car’s lifespan. 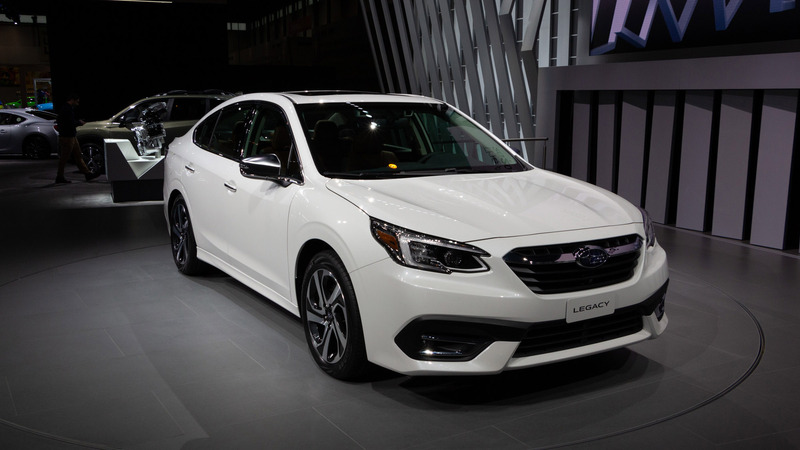 While this was the global debut for the 2020 Subaru Legacy, it will make its Canadian debut next week in Toronto. 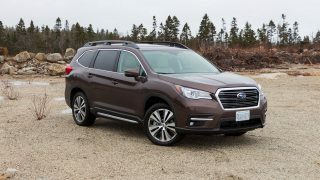 Expect some more Canada-specific details then, and for the car to go on sale this fall with pricing later in the year.